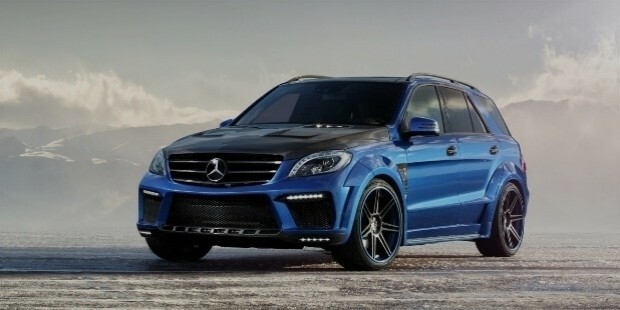 Mercedes Benz is one of the most celebrated names among the Luxury automobile brands in the world. The German automobile company has been around for more than a century, now operated by Daimler-Benz and is headquartered in Stuttgart, Germany. The people behind Mercedes are responsible for the dawn of modern day internal combustion engine, in true sense they invented the automobile. Carl Benz is regarded to be the founder of this company, his 1986 patent 'Benz Patent Motorwagen' is widely considered to be the first automobile. Later that year, Daimler along with engineer Wilhelm Maybach also converted a stage coach with a petrol engine and got rid of the horse powered transportation. Although Benz and Daimler both stayed in south Germany and worked around the same time on their respective models, they never met each other. 'A replacement for the Horse', this is the slogan Carl Benz used for advertisement of his 1886 Patent Motor Car. 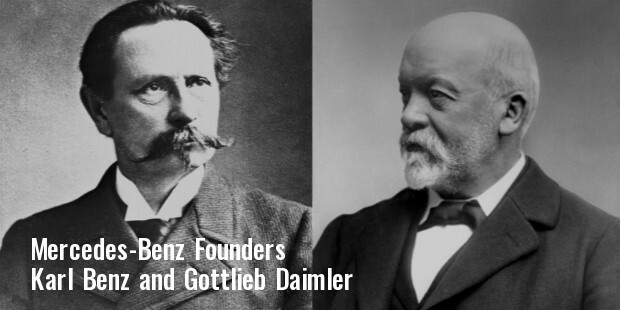 He wasn't as successful as Daimler as far as recognition and fame is concerned. Daimler's car garnered more recognition following his successful attempts in racing but he could not witness one of the most outstanding designs Maybach produced for the joint company DMG. The success of this design is also attributed to the businessman and automobile enthusiast Emil Jellinek who bought his first Daimler car in 1897. He was so thrilled with the car that he approached Daimler and Maybach with an offer of mass production of the car, with a clause that it will be under the brand name of Mercedes instead of Daimler. 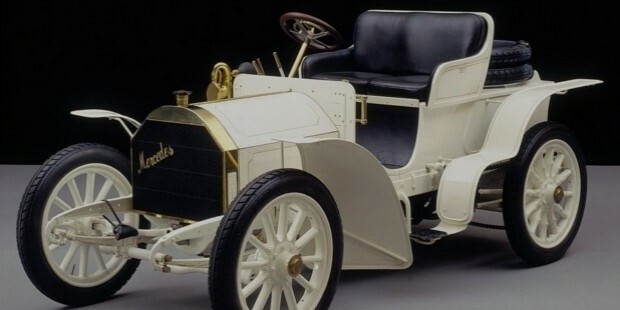 Mercedes was Jellinek daughter's name, The first 'Mercedes' was marketed in 1901 and with its impressive success in the market and racing arena, Mercedes vehicles steered in a new era. The present day Mercedes traces its origin to Benz's 1986 creation and Daimler's automobile marketed in 1901. It became Daimler-Benz only in 1926 when Daimler-Motoren-Gesellschaft was acquired by Benz & Cie. 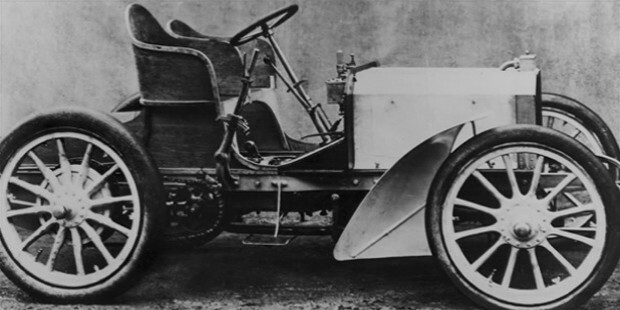 The first Mercedes was a powerful, light-weight automobile with a low center of gravity. It was a 35hp engine and signaled the end of carriages used in automobile manufacturing. DMG holds patent for a successful brand name 'Mercedes' since 1902 and the only thing missing was a trademark. The sons of Daimler remembered that their father used a star for a symbol, and hence the three-pointed star was incorporated as the trademark for Mercedes. In fact the DMG management patented the three-pointed star as well as four-pointed star in 1909. But the three-pointed star was used and adorned the front radiator of Mercedes ever since 1910. 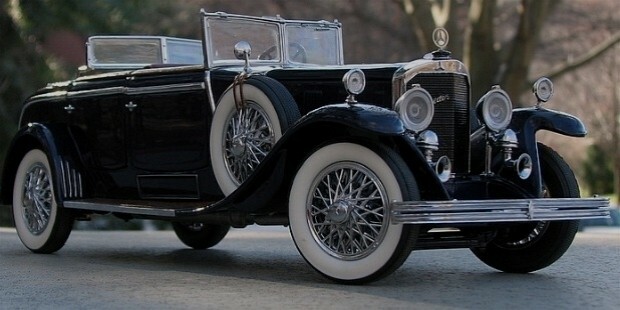 With the Merger of DMG and Benz & Cie in 1926, the new company Daimler-Benz used the trademark of both the company and 'Mercedes' and 'Benz' was incorporated in the trademark connected with a laurel wreath. 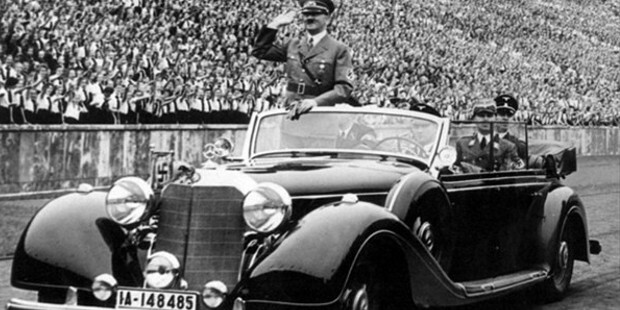 In 1930s, Mercedes was made famous by Adolf Hitler who drove these cars with bulletproof windshields. They were very famous during Germany's Nazi period and they have remained popular, strongly supported by their far-from-average clients. Ever since, Mercedes-Benz is a name synonymous with Quality, Class, cutting-edge engineering and sheer brilliance and is considered one of the best automakers in the world. Today the brand produces luxury automobiles, buses, trucks and coaches. Mercedes-Benz's slogan is 'The best or nothing'. Mercedes Benz cars are known for their Limousines which were made famous mostly in the movies and were used by diplomats as well. Today they are part of 'German Big 3' automobile manufacturers along with Audi and BMW.